At EA’s EA PLAY conference today Andrea Rene sat down for a moment in the crowd with Vince Zampella of Respawn to ask about the Star Wars game that they have been working on that we’ve known about since 2016, but we have yet to see anything from it outside of some behind the scenes footage from E3 years ago. Vince gave us several small tidbits of information. 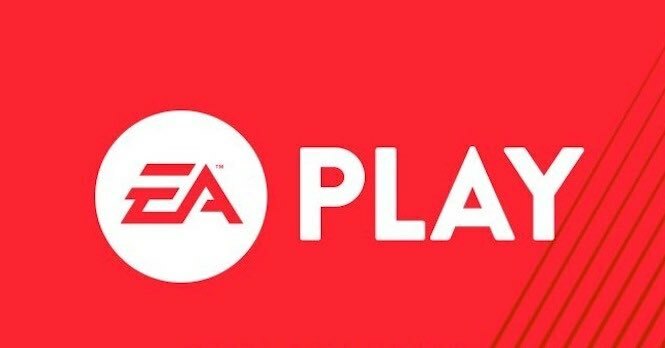 The game is being released late 2019 (barring no delays of course.) Its title and placement in the universe were also revealed as being first, Star Wars Jedi: Fallen Order, with its setting being between Revenge of the Sith and A New Hope. Initially, rumours of an Old Republic era based game circulated because the behind the scenes video showed a Jedi fighting what we assumed was a Sith based upon the red lightsaber. However, over the years LucasFilm has evolved Star Wars and stretched things outside of simply Jedi and Sith. Just look at Snoke from the sequel trilogy -- a powerful force user, but not a Sith -- also, of course, Kylo Ren -- powerful yes, a Sith he is not. So how can we be playing as a Jedi post Order 66? And who would we be fighting in the game? Darth Vader? Unlikely. What will you be fighting? There seems to be one solid choice that makes sense as to what you’ll be fighting in Fallen Order -- Inquisitors. In 2014 Inquisitors were introduced in the animated series Star Wars Rebels as a big threat to escapee of Order 66 and former Jedi, Kanan Jarrus (real name Caleb Dune) along with his padawan, Ezra Bridger. 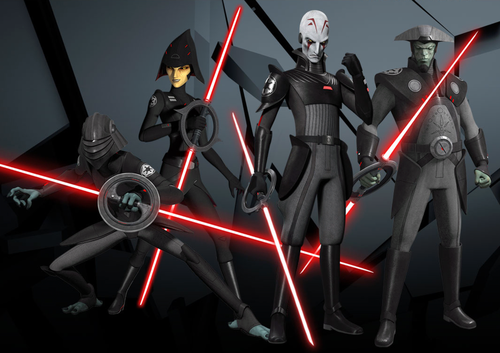 The initial season of Rebels had the crew of The Ghost chased down and hunted by one Grand Inquisitor and as we got into further seasons of the show more Inquisitors were introduced to hunt-down Kanan and Ezra. Later in the show and comics like the Darth Vader series, we learn that the Inquisitors was a program put together by Palpatine himself and eventually had Darth Vader put in charge of the organization. The Inquisitors were made up of former Jedi, or Jedi guard and had two main goals. The initial goal was to track down any remaining Jedi that may have escaped or gone into hiding after Order 66. The second was to track down any force-sensitive children being born and attempt to turn any force-sensitive members of the Imperial army that were discovered. The Inquisitors would make formidable adversaries and offer, for a lack of a better term, potentially very cool battles in a third-person action-adventure game. Most of the Inquisitors that we have seen use double-sided lightsabers much like Darth Maul that spin on the hilt and they can use the spin with enough force and speed to cause a helicopter effect to allow them to fly across distances. We know of as many as twelve Inquisitors, although there could always be more. The order died out by the time we reached A New Hope with their being no Jedi to chase anymore and as Grand Moff Tarkin puts it to Vader in that film, he’s simply part of a now ‘ancient religion’ that as the force has seemingly all but disappeared from the galaxy. So if we’re going to be playing as a padawan that escapes Order 66, they make the perfect fit for who the enemy would be and I personally would love to see the Inquisitors make it into a game based around lightsaber combat. I can’t see anyone else making the cut here as to who you would be fighting outside say Stormtroopers as fodder to take down, but boss battles would have to be Inquisitors. You can’t have a Padawan fight Vader, it’s simply a fight you lose in less than ten seconds. Who will we be playing as? I can see a lot of people hoping to play as Kanan Jarrus of Star Wars Rebels, but it simply doesn’t make sense. As much as I would love Kanan in a game, he already has an origin story told through the comic The Last Padawan -- which of course is a funny title now. That book explains how he ditched his Jedi teachings, went into hiding for years and never touched his lightsaber until meeting Hera Syndulla and joining the crew of The Ghost. But if Kanan could escape as a padawan it makes sense another like him could have. But since we know we’re going to get lightsaber combat, this new character would be taking a much different path to Kanan and choosing not to hide his Jedi past. An interesting, somewhat dumb choice, but an interesting one. Over the years in many different comics, books and the animated series the amount of characters that survived, or at least initial survived Order 66 has been expanded on outside of simply Obi-Wan Kenobi and Yoda. Initial survivors that were killed eventually included Jocasta Nu, the Chief Librarian of the Jedi Library among several others. Survivors of the purge entirel included Kanan; former padawan to Anakin Skywalker, Ahsoka Tano; padawan Ferren Barr; Quinlan Vos; Jedi Master Uvell; Master Yoda and of course, Obi-Wan Kenobi. None of which I could see coming into this game, but if anyone, seeing Quinlan Vos show up could be interesting as he was something of a wild card Jedi and even used by the Jedi at their weakest moment right before the purge. He could be introduced in the game without necessary knowledge of his backstory, outside of him surviving Order 66, and would make for a fun and different character that is very different to any other survivors. I hope this article has helped somewhat with drawing in your mind what exactly this game could look like. We may get our first look at the game come December at The Game Awards, but I think we’ll most likely be getting our first piece come April 2019 at Star Wars Celebration. Sooner the better though! Oct 14 What is "The Mandalorian"?